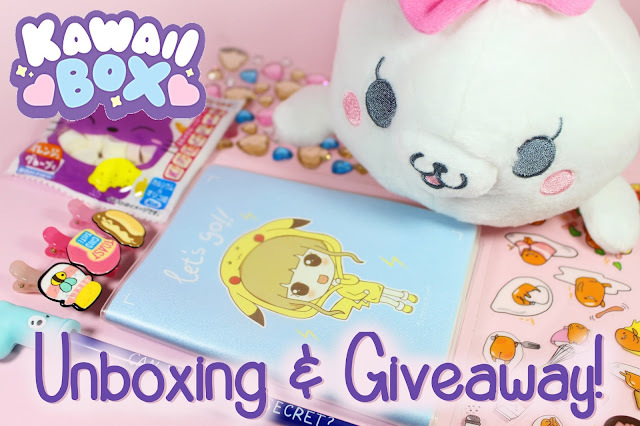 Kawaii Box Unboxing & Giveaway! 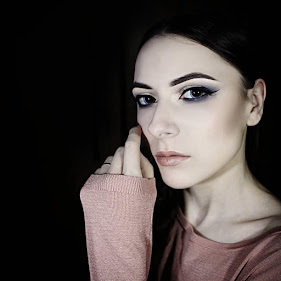 Hello lovelies, how are you all feeling today? I have a super exciting unboxing video and blog post for all of you today! And no, it is not an unboxing of a regular beauty box, but a kawaii box. Kawaii Box is a monthly subscription boxed filled with the cutest little items from Japan and Korea. Usually this little box includes cute stationery, sweets, squishy toys and charms. 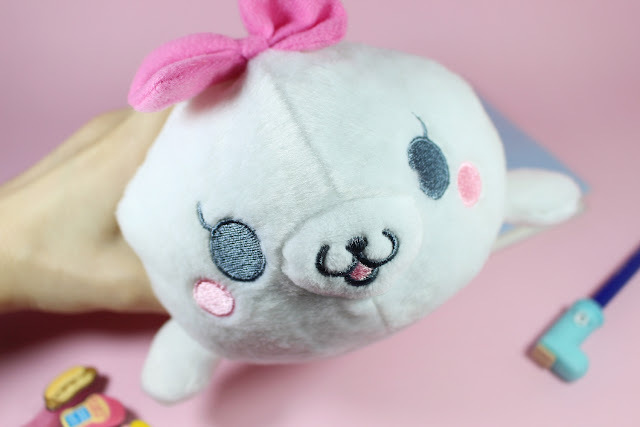 So the very first item in the box is this cute baby seal toy. It is the biggest (around 24 cm.) and the cutest item in the box. This toy is made of the softest plush material and look so adorable, you just want to squeeze and never release it out of your hugs. My baby seal is girl, she wears little white ribbon bow on her head and lives in my bed. She makes my long nights more cozy and warm! 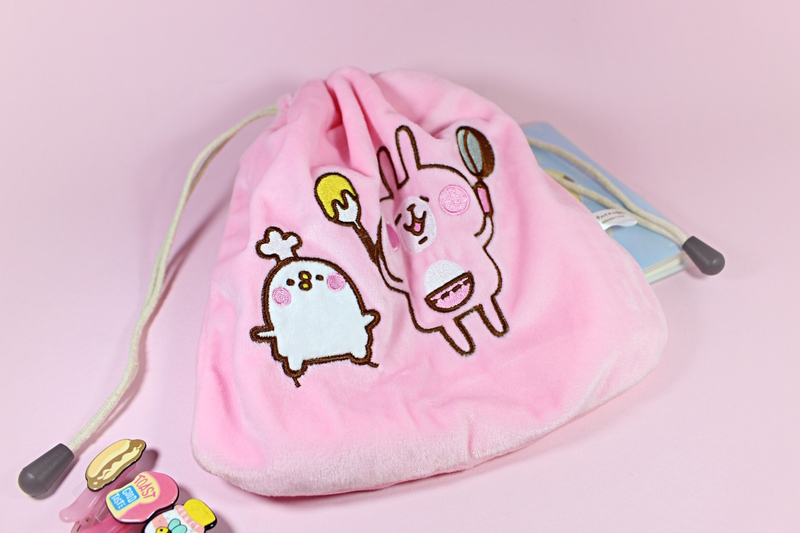 Next item is a plush pink bag to store all your cute little necessities. The bag is decorated with Usagi and the bird Piske print by a popular Japanese illustrator Kanahei. Her characters are always happy and I'm very glad to be able to take this cute masterpiece everywhere I go. Everybody knows lazy egg yolk Gudetama and his daily interactions with delicious food. 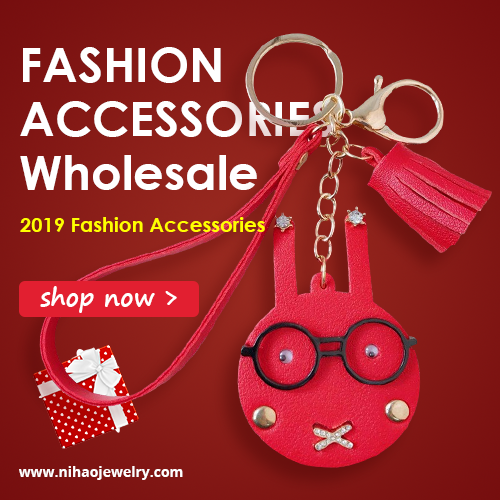 This sticker set contains more than 20 different stickers on a transparent base and you can decorate your dairy, notebook or daily planner with them. 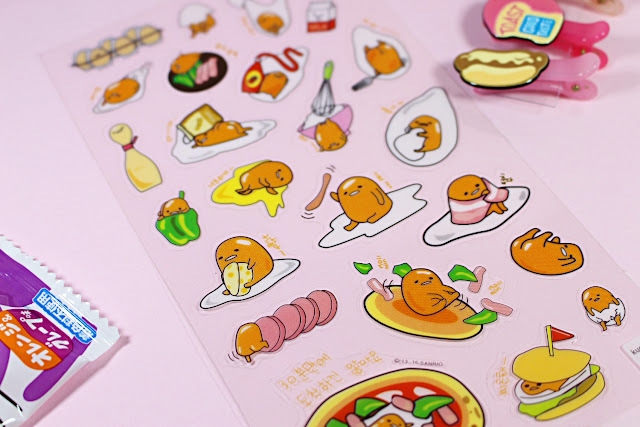 I think I'm going to keep these stickers for now, but later I will decorate my food recipe book with Gudetama. The next item in my Kawaii box is Chibi Vege Candies made from real vegetable and fruit juice. My soda candies are sour and taste like real lemons! 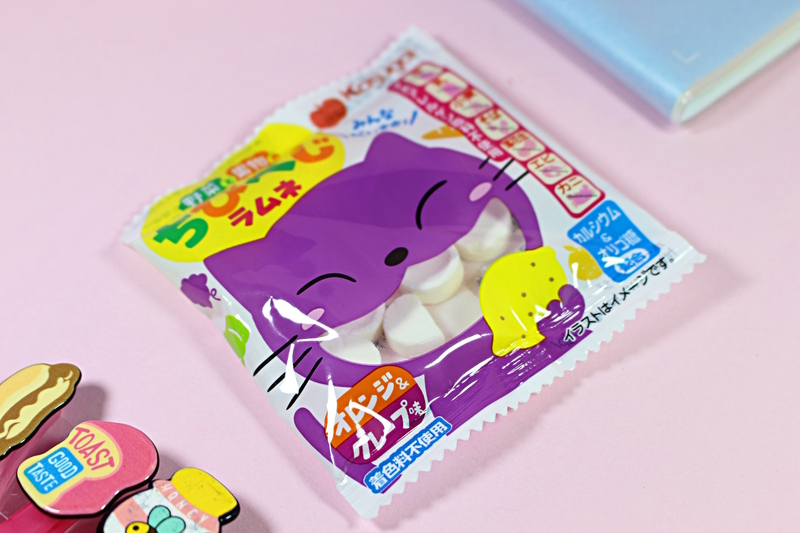 Little cute packaging makes them travel-friendly, so you can easily put it in your small purse and enjoy sweet and healthy candies on the go. I don't know how Kawaii Box guessed that I love cute stationery! The next kawaii item in the box is this black ink pen is wearing a rain boot with a cute bear's face as a cap. 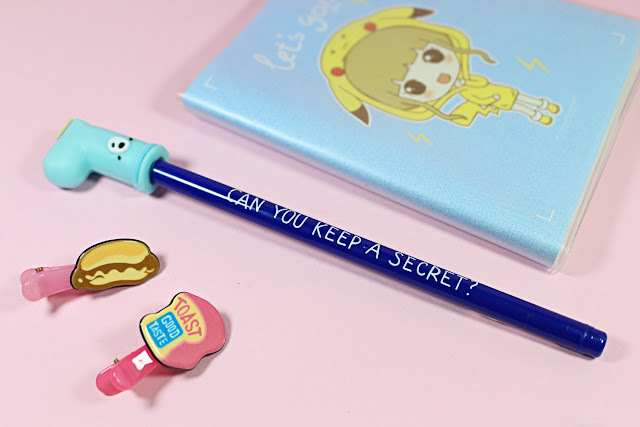 This pen was born to write cute little love messages in the Let's go Mini Notebook. I wish I had this pen, when I was going to junior school, learning to write would be such a pleasure. I can write down different blogger information and my everyday to do list. I like that it is small enough to go into my small purse, but big enough to be comfortable for writing and reading. I also like that it has a soft cover that is protected with plastic and holds the shape of the notebook. 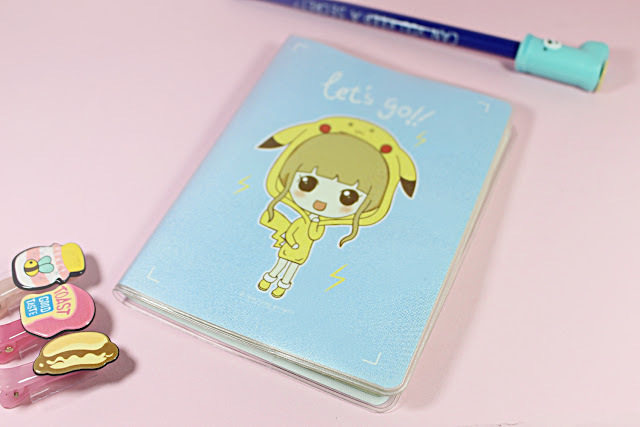 The cover of this mini notebook features little girl, wearing Pikachu pajamas, isn't she adorable? This item is a must-have for every tumblr girl. The Harajuku Food Hair Clips includes three tiny hair clips decorated with a random pastel food. Such adorable hair clip immediately raise bad mood and make your hair style kawaii. I got toast bread, honey pot and a hot dog, yummy! And the very last, but, of course, not least item is this charming decorative diamond hearts set. 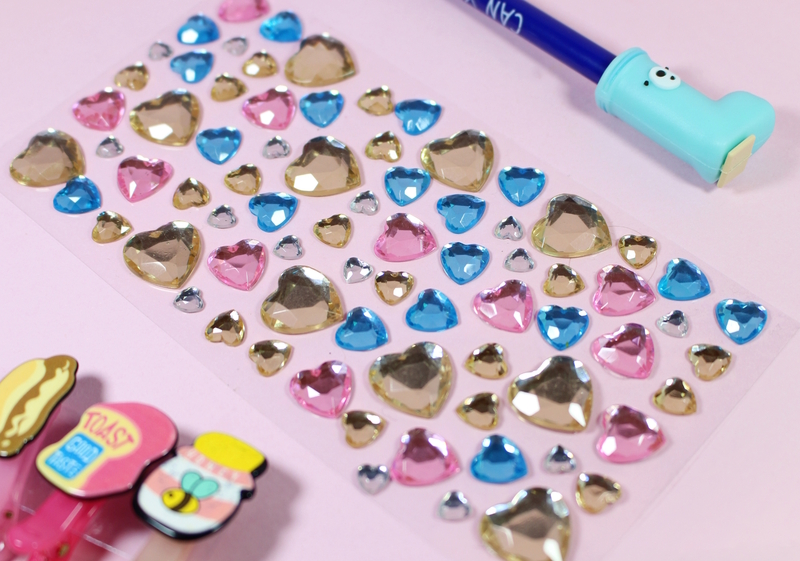 They work just like a regular stickers, but look just like a real jewel. I think I'm going to keep them and try to create a makeup, featuring these diamond heart. But you can use them to decorate books, diaries, cell phone or even your laptop. Subscribe to Kawaii Box and receive box full of cuteness directly to your home every month (free shipping worldwide). ♥ 8-10 super cute hand-picked kawaii products every month! ♥ Automatic entry into our Kawaii Megabox raffle, valued over US$100! Did you like these kawaii items, what was your favorite? I liked everything I received, but that baby seal with its huge adorable eyes stole my heat! Kawaii Box decided to give one of these boxes to my lovely readers. 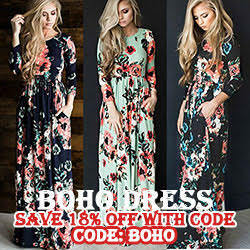 All you need to participate in this giveaway is to enter your name and email address. The giveaway is open internationally, the winner will be selected randomly and will receive a kawaii box filled with a cute little items. Giveaway is opened internationally!